Set in pre-militancy Kashmir, his only novel till date takes the reader on an exhilarating journey to the snowclad peaks of the Himalayas, lakes and chinar forests. It’s a time much before militancy and security barricades disrupted the carnival mood in the Valley. Ashok, a corporate honcho, holidaying Srinagar, discovers his old flame Sheila as the newly-wed bride of his school friend Ramesh, in Kashmir for their honeymoon. The love triangle takes an abrupt turn with Ashok discovering a guru in Shiva’s mountains and following him along the Himalayan ridges. This is a story one can finish in a single sitting and feels like reading all over again. Through an engaging story of friendship, love and misunderstandings between the three principal characters, Dr Karan Singh takes us on a spiritual journey. Guided by the wise presence of Maharaj, the hero Ashok discovers true wisdom and the path to Lord Shiva. One of the wisest lines in this book reads: ‘Outer crises are always the reflection of inner conflicts.’ When Ashok moves beyond these conflicts, he awakens his kundalini and finds Lord Shiva. A foremost scholar of Sanskrit and the Indian spiritual traditions, Dr Karan Singh has written extensively on the Upanishads and the liberal strands within the Hindu philosophical thought. Alongside his impressive oeuvre of scholarly work, he has, mostly unknown to the world, pursued fiction writing. The result is The Mountain of Shiva. 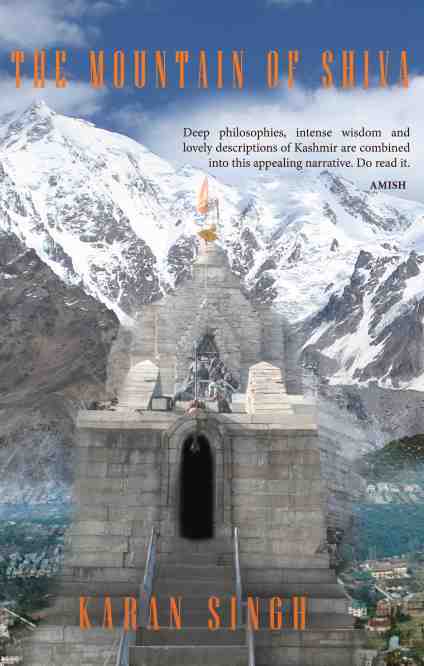 Be the first to review “The Mountain of Shiva by Karan Singh” Click here to cancel reply.